Kanna Asakura accepts rematch against RENA. RIZIN LHW Ace Jiri Prochazka takes on Jungle Fight LHW Champion Bruno Cappelozza. After a successful kickoff into the year of 2018, RIZIN Fighting Federation will be holding their second event, which is also the first event of 3 back to back events. RIZIN. 11 on July 29th, RIZIN. 12 on August 12th and RIZIN. 13 on September 30th. 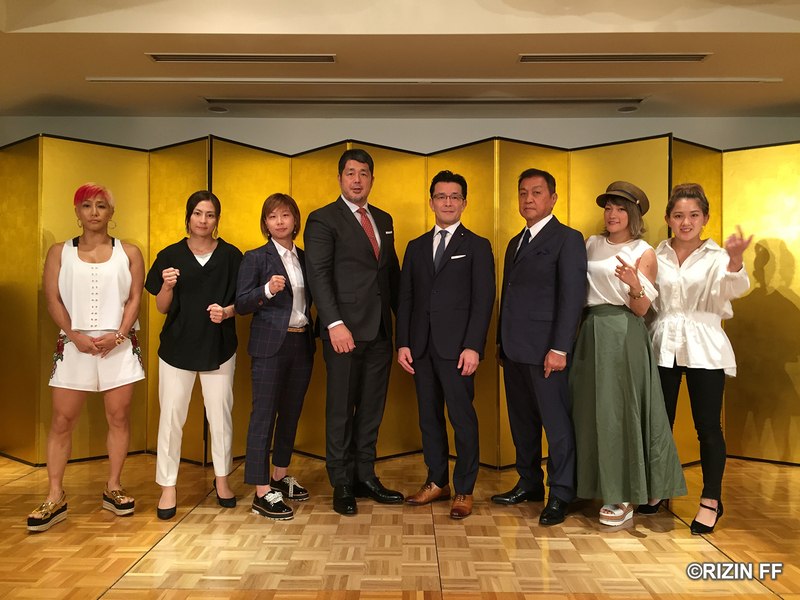 TOKYO – On May 29th, RIZIN held a joint press conference with Shoot Boxing promotion with Chairman Nobuyuki Sakakibara, GM Nobuhiko Takada and Shoot Boxing head Cesar Takeshi. The fighters who made their appearances were surprisingly all female athletes. RIZIN Super Atom weight queen Kanna Asakura, Shoot Boxing queen Rena Kubota, Deep JEWELS veteran Saori Ishioka, Women’s wrestling pioneer Miyuu Yamamoto and Shoot Boxing ace Mio Tsumura. RIZIN 2017 Super Atom weight GP winner Kanna Asakura (12-2) is coming off of a dominant win over Melissa Karagianis on RIZIN 10, held on May 6th. After her fight, the former RIZIN Ace Rena Kubota appeared in the ring and asked for an immediate rematch. The two Atom weights met at the finals of the RIZIN Super Atom weight GP held on New Year’s Eve of 2017, where the underdog choked the GP favorite unconscious. Rena Kubota (6-1), was riding her way to stardom before being derailed by the current champion. She has not yet competed in MMA nor Shoot Boxing after her loss, which was the reason why the 20 year old Champion turned down the immediate rematch offer. 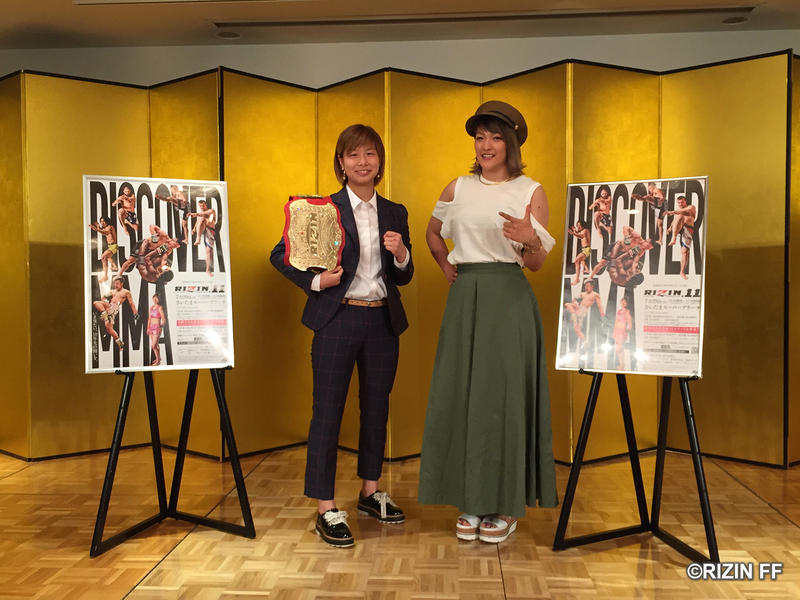 The Shoot boxing Queen looks to get back on track by challenging herself to 2 MMA bouts in July, her first fight being against Elaine Leal (5-5) on July 6th at her home Shoot Boxing, and the rematch against Kanna Asakura in RIZIN on July 29th. Jiri Prochazka (20-3-1), made his first RIZIN appearance in 2015 when he participated in the Heavyweight GP, the Czech Republic native quickly made his presence known after knocking out Japanese favorite Satoshii Ishii in the quarter finals, edging Russian prospect Vadim Nemkov after a back and forth 10 minute round in the semifinals. Despite losing to Muhammed Lawal in the finals, the 25 year old has been on a 4 fight winning streak and has an impressive 20-3-1 record with 17 KO/TKO wins. Bruno Cappelozza (10-4) also made his first RIZIN appearance in the 2015 Heavyweight GP, but despite delivering an exciting performance, the Brazilian got caught with an overhand right from Lithuanian Judoka Teooras Aukstuolis in the quarter finals which led him to be eliminated. After the loss, the striking elite fought back to back title fights and earned 2 LHW titles for Jungle Fights and Demolidor Fight, both by the way of knockout. The 29 year old holds a 10-4 record with a 100% KO/TKO rate. The battle between two, determined mothers will be taking place at the Saitama Super Arena between Saori Ishioka (15-11), and Miyuu Yamamoto (1-3). Both fighters are coming off of losses, and look to come back with an exciting finish. The Zendokai product has had her ups and downs in her 11 year career, but still looks to get the win to challenge her longtime rival Rena Kubota. 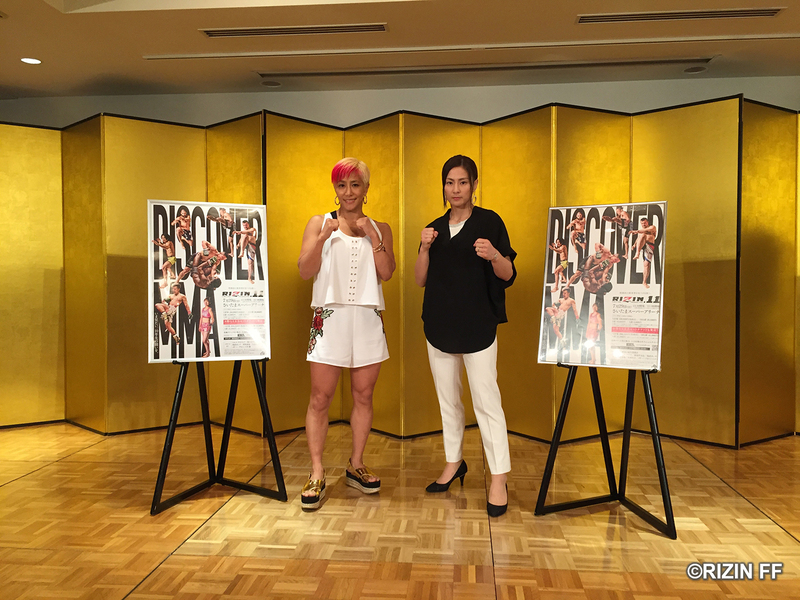 Japan’s women’s wrestling pioneer and veteran Miyuu Yamamoto made her transition into MMA in 2016, at the age of 42. The wrestling elite has had a bumpy career in MMA, with the record of 1-3, she still looks to perform at the highest level and show hope to the international female athletes still competing at her age. Doors open at 1:30PM with Opening Ceremony at 2:30PM on Sunday May 29th 2018 at the Saitama Super Arena. International tickets can be purchased at www.stubhub.com starting June 10th.